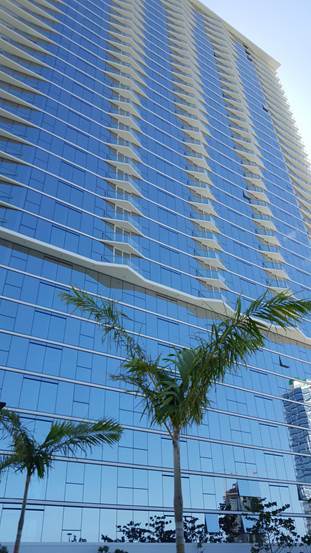 Symphony Honolulu is a residential condominium located at the corner of Ward Avenue and Kapiolani Boulevard. The project consists of a 42-story tower with a 6-story podium, a roof garden/recreational deck, and automotive dealership located on the ground floor. The project required the widening of Ward Avenue (Makai bound) to allow for a right turn onto Kapiolani Boulevard. A pedestrian island at the intersection was also added. Civil engineering scope included design and preparation of construction drawings and specifications for site water, sewer, and drainage systems.